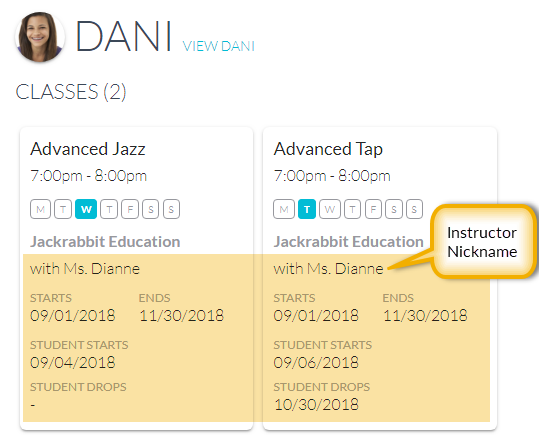 Enroll - Controls the availability of the Classes menu option. 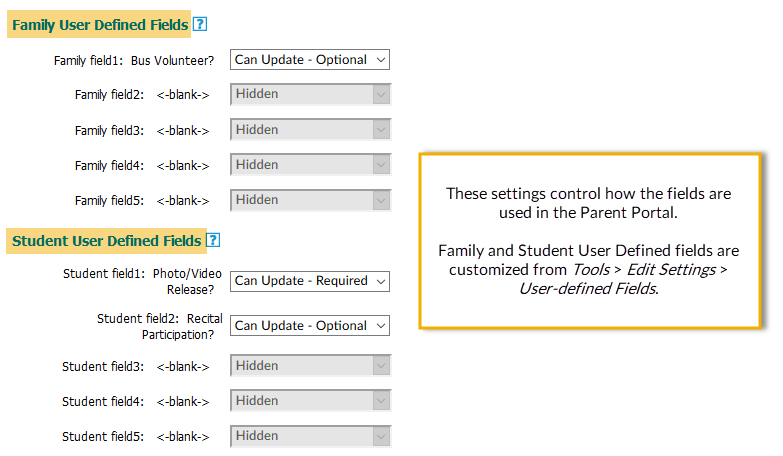 When selected, the Classes menu option will allow the parent to search for classes using your class listings. 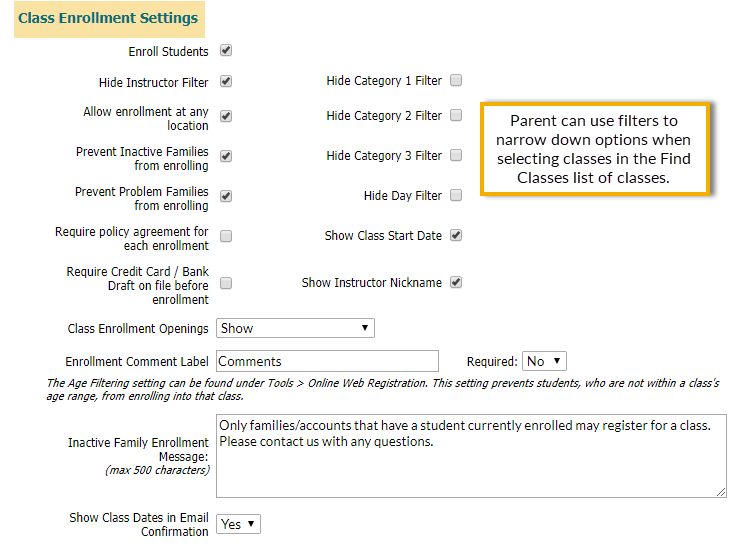 The ability to enroll in a class, however, is controlled by the Enrollment Setting Enroll Student (covered below). If you opt to not allow student enrollment in the Portal the parent will be able to view the class information but will see a message that prompts them to contact you directly to enroll. Show Contact PINs - Check this if you use the Clock and want contacts to see their assignd PIN. This is view only. Credit Card Information - Allow your parents to update their credit card information, only view it, or hide the information completely. Bank Account Information - Allow your parents to update their credit card information, only view it, or hide the information completely. 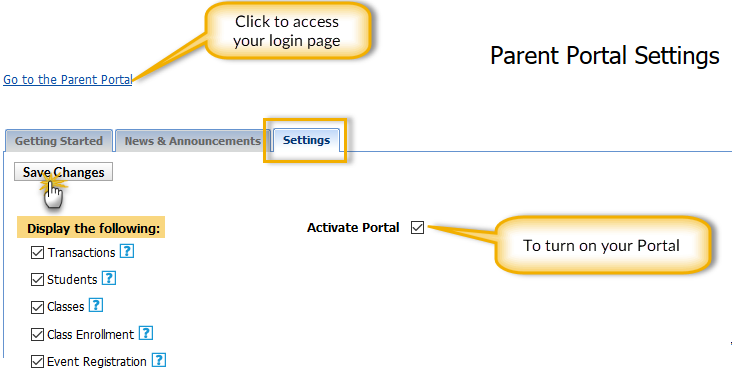 Show Student Attendance - Controls whether or not student attendance information is available to the parent. 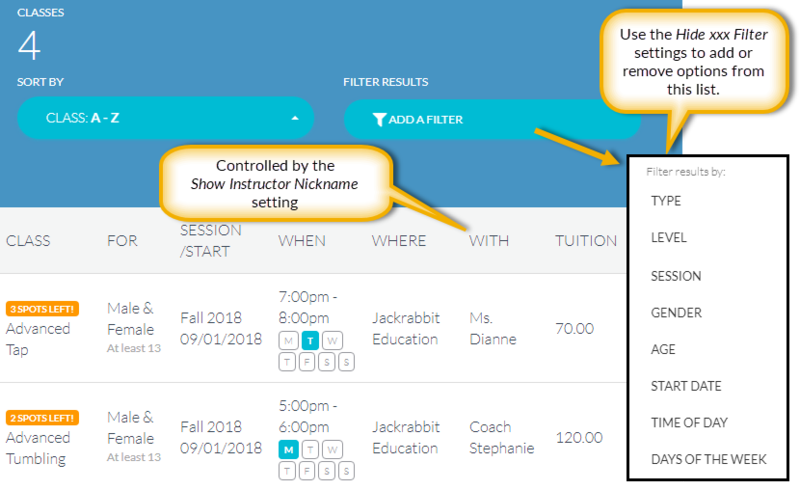 Show Session on Attendance - Controls whether or not the student attendance will specify the session for the attendance records. 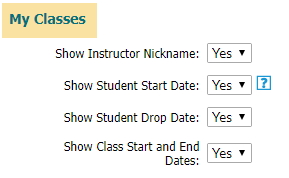 Hide School and Grade fields - Option to hide these fields in the student information. 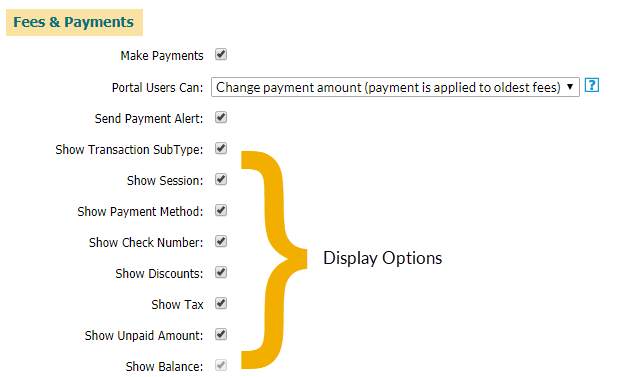 Only Class Based Billing databases will have the option to Post Class Tuition Fees. No discounts are included. 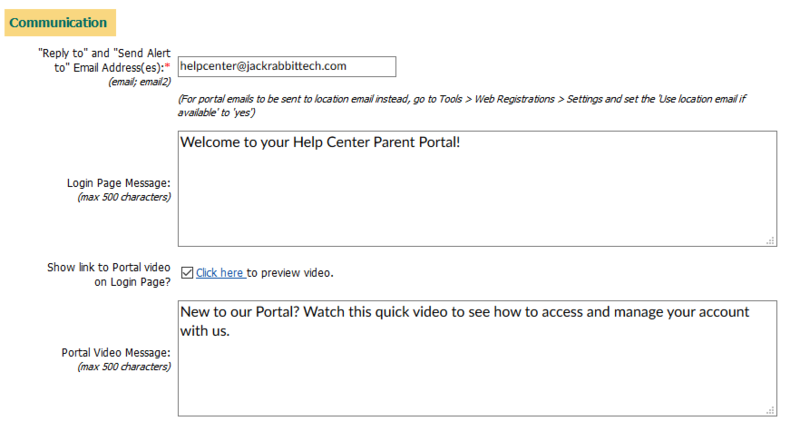 Enrollment Options -Choose if you want to allow parents to enroll students in classes and events in the Portal. You can eliminate certain Categories from the drop-down selection list. Example, you may have a Category 1 called "Late Pickup Fees" that you use for revenue reporting only and don't want your parents to see this in the Portal. To prevent non-applicable Categories from being listed as a choice in the drop-down filter list, go to Tools > Edit Settings > Drop-down Lists > Category 1 (or 2 or 3), and check the Hide from customers check box by any Category that you do not want to appear as a filter selection. (This affects both the Portal and Registration Form display).